“We are Venom!” This is a quote from Sony’s movie adaption of Marvel’s antihero Venom. I saw this movie and I have to admit, it was good movie and I would love to see a sequel or possibly have Venom crossover with Spider-Man. What makes Venom interesting is how the main character Eddie Brock is teamed up with an unknown creature unexpectedly and must learn to control. However, unlike most characters with super powers, Eddie gained these powers by accident and he struggles to control them and what’s worse is that Venom is a living creature with its own motives. In other words, Venom and Eddie has to work together in order to survive against enemies that wants them both dead. This kind of relationship also exists in the world of anime and manga where characters receive a special power, but changes their lives differently. Some characters get rejected by society and some loses a part of their identity in order to live. In this post, I want to list my top five characters who gained powers but goes through hardships. Anime characters that obtained a power source without any characteristics like Deku from My Hero Academia will not be in this list since even though he does get the quirk One for All from All Might, the quirk is not a living creature. This list will focus on characters obtaining living, powerful beings and learning to cooperate with the hosts. I wasn’t sure how to properly title this post, so if you have any title suggestions for this post, comment down below. It’s been a while since I did a top post so excuse me for my rusty writing. *There might be minor spoilers, but I will keep it to a minimum! This is not ranked! I am only listing from the top of my head. Also, I will be referring to the movie Venom more often. So if you are reading this and getting tired of me saying, “just like Venom or just like Eddie…”, get used to it! Already been announced, Warner Bros Japan will be working on the live action adaptation to Tite Kubo’s Shonen Jump manga series Bleach. Warner Bros Japan released a teaser trailer of the movie Bleach. The movie in Japan will premier in July 20th this year. This movie will cover the Substitute Shinigami Arc which consists volume 1-8 in the manga (basically season 1 of the anime). 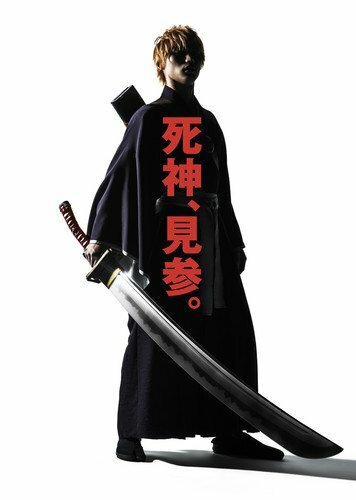 Revealed in Twitter, the live-adaptation to Tite Kubo’s series Bleach will be slated for theater release in 2018 in the summer. The account also revealed that more information will come in this Friday. Previously mentioned, the Twitter account for Gurren Lagann stated that they will announce a surprise for fans on July 5th. Now that we are in July 6th, we finally see the surprise news and its…. Happy Birthday to me! 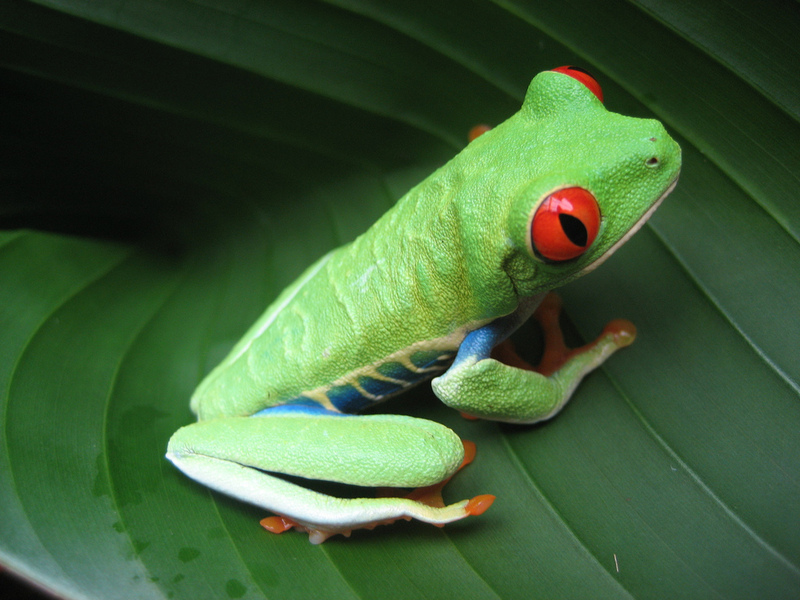 – A Special Top 10 posts and Personal Shout-Outs! Hello everyone, this is yours truly Matthew of Matt-in-the-Hat, and today is a special day because today it’s my birthday! Today I turn 23 and I have been waiting for a long time to reach this number. As a way to start this post, I will be doing a special top 10 posts but with a twist. If you guys know me enough, you would know that I have a gaming obsession with Final Fantasy XV and Kingdom Hearts. For this top 10, this will actually be divided into top 5s instead but in the end, it will be 10. Also, there is no particular order. Here is the reason behind this. Also, I will be doing personal shout-outs! Today is the DLC add-on to the game Final Fantasy XV, Episode Gladioulus. In this episode, players will be playing as Noctis’s friend Gladiolus and they will experience what is like to play as the strongest man of the group. Taking place after facing Ravus, Gladiolus leaves the party and tries to obtain new skills. With the help of Cor, Gladio will be fighting daemons and he will have to face the ultimate challenger, Gilgamesh. If players bought the season pass, this episode is free; otherwise, you will have to pay $5. Also coming out today is the release of of the HD collection game Kingdom Hearts HD 1.5 + 2.5 ReMIX, (in the UK, this game comes out on March 31st). This game will include the past Kingdom Hearts that was previously included for the PS3 but now it will be on PS4. The graphics are enhanced with 60 FPS. This game will include the following: Kingdom Hearts: Final Mix, Kingdom Hearts Re:Chain of Memories, Kingdom Hearts: 358/2 Days (HD Cinematic Remaster), Kingdom Hearts II: Final Mix, Kingdom Hearts: Birth by Sleep Final Mix, and Kingdom Hearts Re:Coded (HD Cinematic Remaster). Now that I have giving you this information, going back to the top posts, I will tell you the titles to these top posts. I will be sharing my top 5 Strongest Male Humans in dedication to the Episode Gladiolus and my personal Top 5 Anime Worlds that could join Kingdom Hearts. I want to thank Capili Jiron of Artist by Beauty for giving me a another blog award. After you finish read this post, go check out her amazing site and show her your love and support! She’s an amazing blogger who likes anime and video games and if you like that, go follow her. For this award post, I am going to do something different. I will share 7 things related anime that concerns me. I am an anime fan and I will be sharing 7 things that interest me and anything Japanese related topics. 1. My original Big 3 was Dragon Ball Z, Yu-Gi-Oh! and Pokemon. This was before I saw One Piece, Bleach and Naruto. 2. When ever I listen anime song, I can get addicted and listen to the song multiple times until I find a new one. 3. I always prefer watching anime in English Dub. 4. I got into Bleach because I keep hearing the anime was popular in my magazine Shonen Jump (before they went digital and I paid for print magazines). Back then, I stuck on Dragon Ball Z, One Piece and Naruto. In my magazine, they kept Bleach was great and it was then I decided to watch the first episode on Adult Swim and I fell in love with the show. 5. My favorite anime to watch on Adult Swim (Not Toonami back then. Adult Swim showed late anime) was the classic Fullmetal Alchemist anime and Inuyasha. 6. 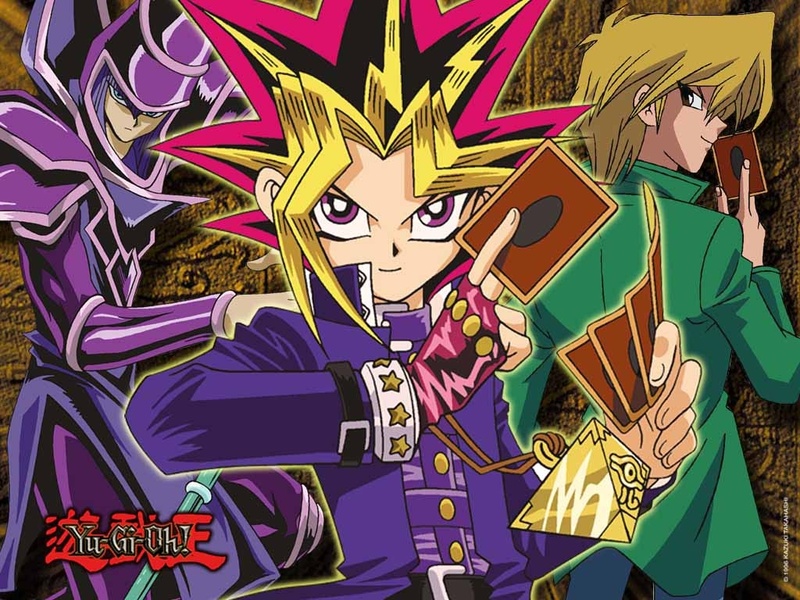 My favorite Yu-Gi-Oh is the classic Yu-Gi-Oh! (Yugi Muto). 7. 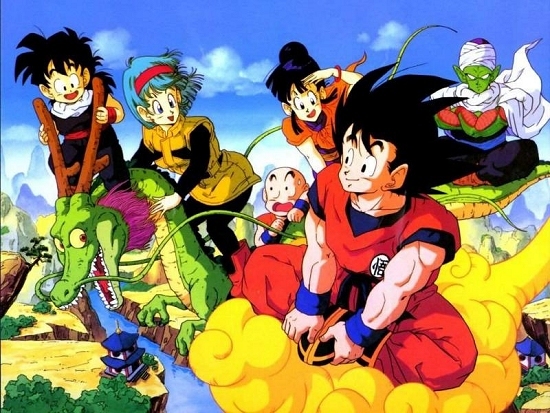 My favorite anime video games growing up was the Dragon Ball Z games. 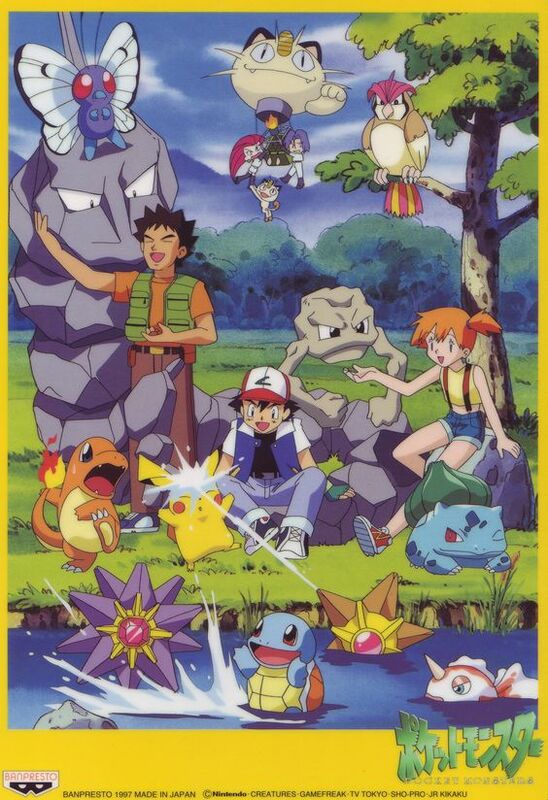 Tagged #Pokemon20, Bleach, Dragon Ball Z, Yu-Gi-Oh! I pick Kagome from the anime Inuyasha. You would think a teenager like Kagome would only have to deal with homework, tests and boys; however, this is not the case for this teenage girl. After being dragged into the Bone-Eater’s Well, Kagome’s life changes when she meets the half-demon Inuyasha and must work together to collect the Shikon Jewel Shards and fight off against bloodthirsty that want them for power. What makes Kagome one of my favorite is because she is a tough and brave girl that goes through trials to save her friends. Any average human would probably run away from danger or die, but Kagome is willing to put her life on the line. Kagome is one tough school girl. My next choice is Rukia from Bleach. Rukia is one of the first Soul Reapers Ichigo meets in the start of Bleach. 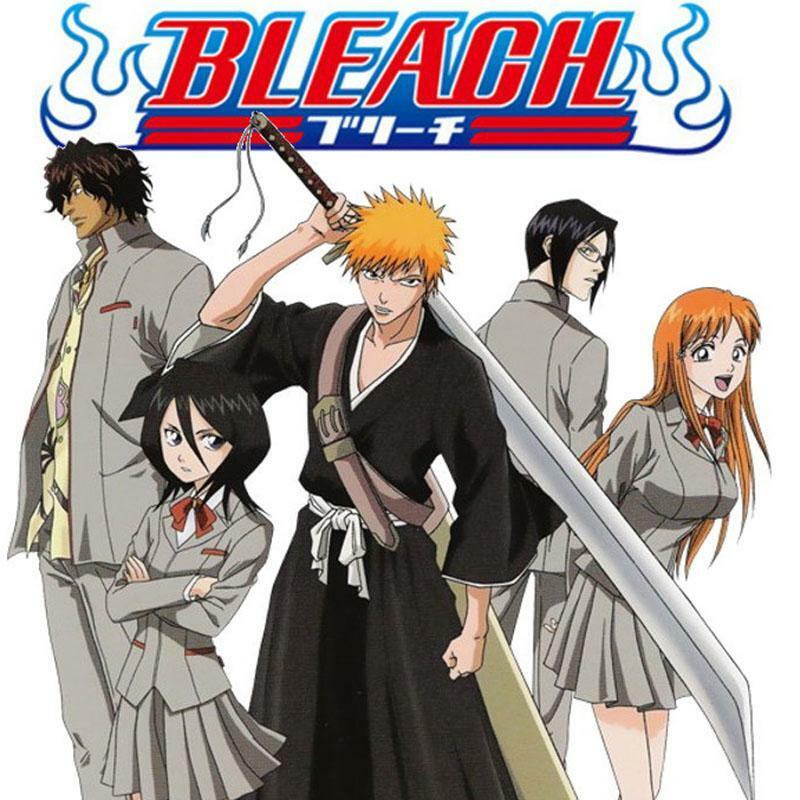 After lending Ichigo her powers in order to save his family, Rukia becomes trapped in the human world and relies on Ichigo to do her duty as a Soul Reaper. Later on the series, Ichigo tackles more than slaying hollows. He goes through saving his friends, fighting in a war or even getting stronger in near-death situations. Out of the girls in Bleach, I think Rukia is one of the coolest girls. Unlike most girls in some anime, she is prepared to fight. Thanks to her being raised by Kuchiki family, Rukia is disciplined in fighting and knows the risks for helping Ichigo’s battles. Also, she also knows how to slap Ichigo into sense whenever he gets discouraged especially after his first encounters with the Arrancars, Yammy and Ulquiorra. Just like Rukia, Asuna is another character I like. When we first meet Asuna in the anime, we find out she is beginner gamer and she gets trapped in Sword Art Online along with Kirito. Later as the anime progresses, Asuna joins the Knights of the Blood and gets the highest ranking. With her cooking skills and keen techniques of her rapier, Asuna is a special girl that cook up a tasty stew and even tackle the toughest enemies in video games. Besides losing everything in the Fairy Dance arc, Asuna is still the toughest gamer along Kirito in A LFeim Online; she also becomes the teams healer! In the Mother Rosario Arc, Asuna also comes close to defeating the unstoppable gamer Zekken! A girl that likes gaming is great in my book! Coming in second place is Celty from the Durarara!! series. Celty is a Dullahan (a headless fairy in Scotland culture) that lives with the underground doctor Shinra Kishitani in Ikebukuro and tackles odd jobs. In a city that is filled with bizarre characters, Celty is one of the characters and she is no stranger to her friends. Without her head, no one can understand what she is saying unless she uses her cellphone and anyone that can understand her body language. Besides that, she is also very dangerous. Her headless horse can shape shift into a motorcycle, a carriage and even a bike. She also controls shadow tendrils that can emit from her body, almost like extra limbs. In this anime, Celty is one of my favorite characters in the anime. She is caring to her friends such as Shizuo and Anri and she can also be cute when she is with Shinra. Last but not least, we have Nagisa from the Clannad series. Born with a weak constitution, Nagisa is prone to be easily ill and go through critical situations that can lead her to repeating high school. Her life changes when a delinquent senior boy named Tomoya Okazaki meets her and agrees to help her bring back the theatrical drama club, her faith in her goal is restored and she meets new friends that will be part of her life. She also changes Tomoya’s life for the better after she learns about his troubled life. Personally, Nagisa is one of the best girls in the anime. Nagisa is a cute girl with a gentle smile and good conscience. She is a girl who is willing to help others and put aside her own goals. She’s not a fighter like Tomoyo, or tough like Kyou or even super shy like Kotomi, she’s just a girl who is moderate. She can be shy but with Tomoya’s help, she can be brave and even go through life without troubles. Whenever she smiles, she can make anything go from bad to good. If she’s sad, she can make anyone feel for her. She is the number one in this list. These are all the characters I have for this top 5. What are your top 5 girls? Comment below. News: Dragon Ball Super Dub! Bleach Novels!! If you already heard from Twitter or other places and you think this is a dream, this is for real. Announced today, FUNimation Entertainment (English anime license owner and distributer) finally got the license to stream and own Dragon Ball Super. With an agreement with Toei Animation and the anime will be shared for United States and Canada. This also means FUNimation will be in charge of streaming. digital downloads, home DVDs, merchandise and broadcasting. FUNimation will reveal more news in regards to broadcast dubs later in the future. 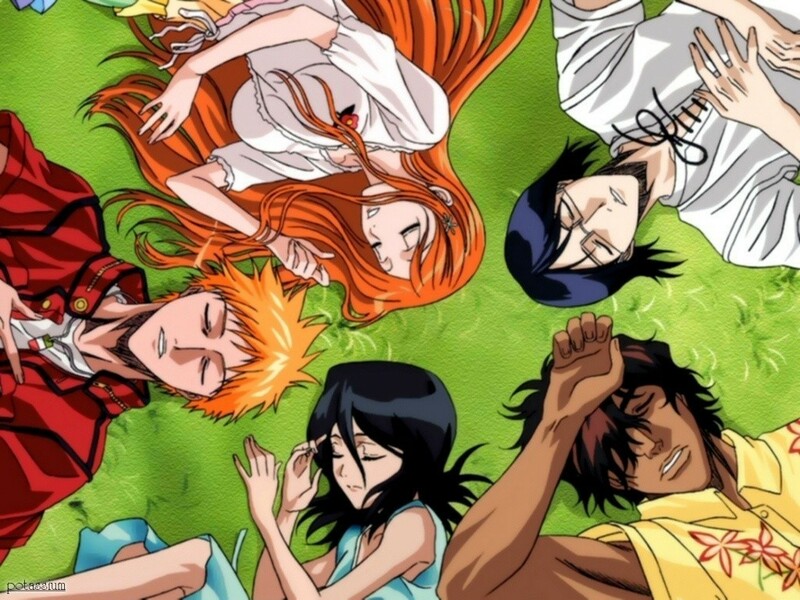 Revealed today, Bleach volume 74 revealed that there will be two planned novels for the series Bleach. The novels will focus on some of the characters and they will be written by different authors. The first novel will focus on Rukia and Renji and it will be slated for release on December. The author of the novel will be done by Makoto Matsubara. The second novel will focus on Shūhei Hisagi and his secret battle. The novel will be released in 2017 and it will be done by Ryohgo Narita (the same person who did Durarara!! and Baccano!). News: Kubo returns to Twitter! Sonic Movie directing team!! Lupin III Part IV!!! After leaving Twitter in September 2015, Bleach creator Tite Kubo returns to the social media Twitter! Even though it’s not a verified account, Yusuke Murata (One-Punch Man character art designer) says that in his Twitter that he has returned. This is the only evidence we have. The final volume for Bleach will be released in Japan on November 4th. The last volume is number 74. If you haven’t heard the news, Tim Miller (director of Deadpool) left the production for the second film for Deadpool. Instead, he will be working on the live-action/CG film adaptation of Sonic the Hedgehog. He will be the executive producer while working with the Oscar Nominee director Jeff Fowler (“Gopher Broke”) and script writers Patrick Casey and Josh Miller (Golan the Insatiable). Announced last night, American anime distributor Discotek Media have licensed the anime series and sequel Lupin III: Part IV. The anime will have an English dub and sub track. The anime was first premiered in October 2015, first it was premiered in Italy August 2015 and then in Crunchyroll in January 2016. The story of the new series takes place in Italy and San Marino, and it features a blue-jacketed Lupin in his 20s. The series open with an invitation to Lupin’s wedding to a new character named Rebecca (played by Yukiyo Fujii in the Japanese version). News – One Piece Film Gold license! YuGiOh in Steam!! Bleach live-action leak?! No surprise, English company FUNimation announced today that they got the license to the third film of One Piece, One Piece Film Gold. What’s surpising is that the film will also be premiering in theaters in the United States and Canada. The movie will be in theaters in January 10-17. If you like One Piece and you live in Canada or United States, go save up and buy tickets! The card-simulator game Yu-Gi-Oh! Legacy of the Duelist will not only be playable in the PS4 and Xbox One, the game will also be joining Steam this fall according to Konami. Also coming in fall, Konami mentioned that the console versions will be releasing DLCs and anyone participating in the New York Comic Con will get the chance to preview the DLC. Leaked by photographers in Japan, someone as leaked images of the live-action adaptation to Tite Kubo’s manga series Bleach. Here is one of the pictures. There are more at the link but filled with fans comments and criticism towards the costume and the sword. Some compare to a “cheap cosplay” and the sword looks like a “big butter knife”. Tagged Bleach, Funimation, One Piece Gold, Yu-Gi-Oh!